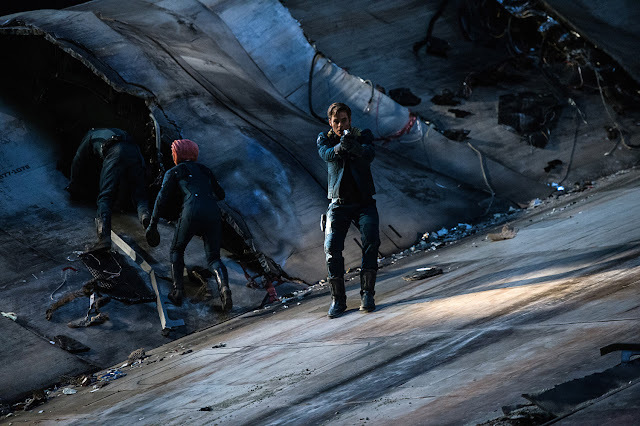 If we could distinguish "Star Trek Beyond" with one word it would be relentless. The film turns out to be a whopping heap of endless fun. From start to end, the action never dies down, your visual and aural cues will be bombarded, while wrapped up in a story filled with mystery and intrigue. "Star Trek Beyond" literally goes beyond duty and with it, a sure fire rejuvenation of the modern franchise reboot. The Enterprise crew is out on their first five year mission exploring the furthest reaches of uncharted space. They encounter a mysterious individual who seeks their help. Apparently, her ship and crew has crashed on a planet in an unknown nebula. But as The Enterprise arrives on scene, it is ambushed by an unstoppable wave of unknown aliens which obliterates the ship and forces it to crash on the same planet. Stranded and with no apparent means of communication or rescue, the crew find themselves in conflict with a new and ruthless enemy out to destroy the Federation. 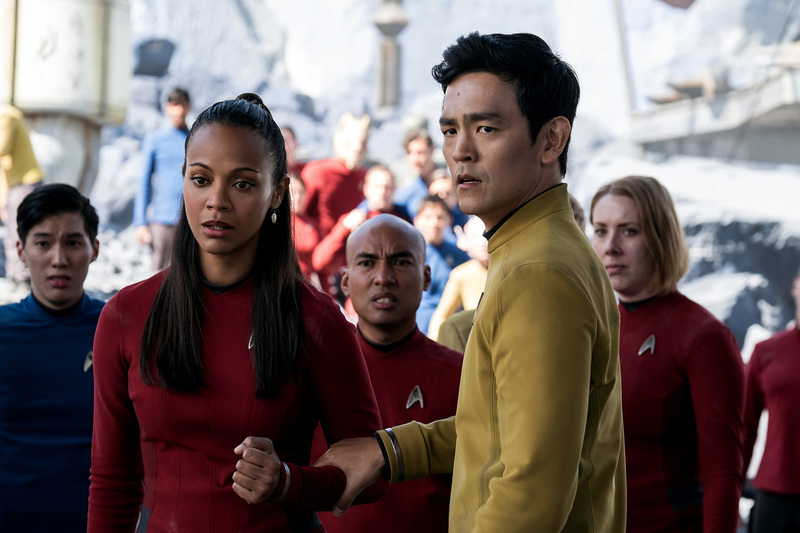 It is easy to forget how well made the contemporary "Star Trek" films have been. J.J. Abrams has done a pretty swell job but "Star Trek Beyond" is the first film in the reboot series to be directed by another guy with Justin Lin taking the helm. From fast cars to intergalactic ships, could this be a bad move? The end product turns out to be actually refreshing. Never has the franchise been featured with as much grandeur in terms of visual and aural bombardment. Let's just say it was so much fun. And yes, finally lens flares are minimized to near extinction. The story felt like an ode to a television episode of Star Trek. It's simple enough yet packed with mystery and intrigue. 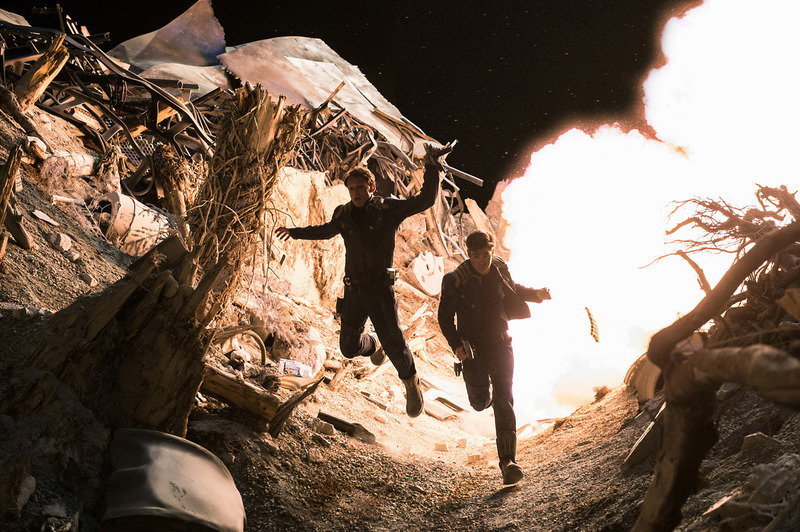 The movie had a tendency to be slow at times but with timely injections of comedy, it made sure it was a minor annoyance rather than a major red flag. The action was surprisingly inventive. Our favorite is the final fight between protagonist and antagonist while they contend with shifting gravitational forces. Space battles were a lot of fun too with one in particular standing out that definitely plastered grins on our faces - thanks Beastie Boys! Annoyingly, Krall as the antagonist was a bit of a letdown. While he had his own surprise twist, his overall presence was lacking. 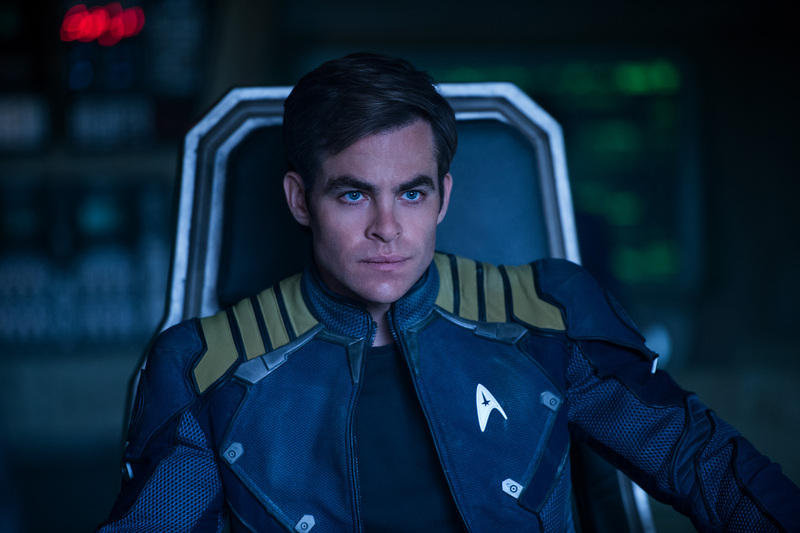 Minor quirks aside, "Star Trek Beyond" is one heck of an experience. We just want to know when's the fourth film coming out. We already can't wait as early as now.